Dr. Orton, the first department chair, was a pioneer in the identification of dyslexia. He was fascinated with patients who were bright and often had talents in many areas, but struggled with reading and language skills. Dr. Orton became convinced that dyslexia was not a problem of vision or perception, but a problem of language. He felt that the cause of this problem was neurological in origin and that the remedy for it was educational. Dr. Woods’ long time interest in psychiatry and law arose from his personal clinical observations of individuals accused of crimes where mental illness was a contributing factor. In collaboration with the Dean and faculty of the law school, Dr. Woods organized a course for law students in psychiatry beginning in the early 1930s. He also was cognizant of psychiatry's connection to neurology and worked to integrate the two departments. 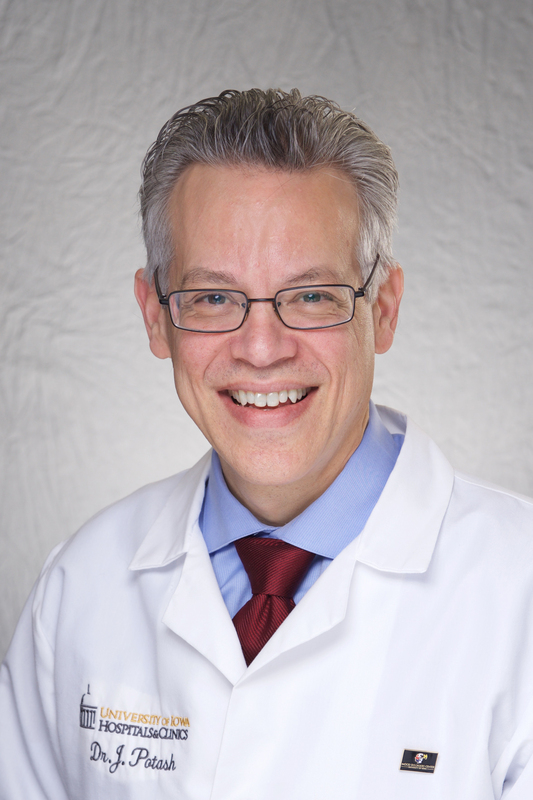 Dr. Miller saw the applicability of psychiatry to all fields of medicine and initiated training for primary care physicians in the identification and treatment of psychiatric illness. Dr. Huston’s research focus after joining the faculty was on schizophrenia and depression. In 1948 two pivotal papers described the beneficial effects of ECT in treatment of depression and in the prevention of suicide. These were among the first studies showing the value of diagnostic criteria, comparative research samples, and long-term follow-up. Dr. Huston was the founder and first president of the Iowa Psychiatric Society and was instrumental in developing a community based mental health care delivery system that received national attention. Dr. Winokur emphasized data-based categorization of psychiatric illness and was internationally known for his classification of affective disorders. Research conducted by the department during his years as department chair contributed greatly to the careful classification of psychiatric disorders in the Diagnostic and Statistical Manuals. Dr. Robinson's early research identified for the first time the dramatic role of untreated post-stroke depression in elevating mortality, impairing physical recovery in activities of daily living, and producing increased cognitive impairment. His most recent work demonstrated, using double blind methods, that both first episode depressions following stroke and increased mortality can be effectively prevented using prophylactic antidepressant medications. Under his direction, the department continued its commitment to improve the care of patients and the understanding of psychiatric illness through empirical and basic science research. Dr. Potash was an enthusiastic booster of the Department and successfully recruited 45 new faculty members, supported the expansion of psychotherapy training and practice, and worked to create synergies between clinicians and researchers. He ran a robust genetics lab that examined both common and rare genetic variants involved in mood disorders. Dr. Potash established the Molecular Psychiatry Division to encourage collaborations between researchers looking into the molecular causes of psychiatric illnesses including schizophrenia, autism, depression, and bipolar disorder. The division successfully set the stage for the development of the Iowa Neuroscience Institute.